Ask A Filipino! : Are Filipinos considered Asians or Pacific Islanders? "Attempts have been made to classify humans since the 17th cent., when scholars first began to separate types of flora and fauna. Johann Friedrich Blumenbach was the first to divide humanity according to skin color. In the 19th and early 20th cent., people such as Joseph Arthur Gobineau Gobineau [French diplomat and man of letters and Houston Stewart Chamberlain, mainly interested in pressing forward the supposed superiority of their own kind of culture or nationality, began to attribute cultural and psychological values to race. This approach, called racism, culminated in the vicious racial doctrines and anti-Semitism anti-Semitism of Nazi Germany and was used to justify slavery slavery and segregation (see integration) in the United States, apartheid in the Republic of South Africa, and European imperialism and colonialism generally." HOWEVER, I am in favor of collecting these types of data if policy-makers use the data to address structural defects in the system in order to provide equitable opportunities and ensure that everyone gets reasonable access to advancement in society. In other words, if the data is used for nefarious purposes, then it IS racism; otherwise, it may well be necessary to help manage a very diverse country like the US which, with limited resources, has to make sure that peoples of all types live in relative harmony alongside each other. Also, the data has other uses -- e.g., in medicine, some races have much higher incidences of certain types of diseases than others, etc. I agreed with what you said in your post about the need for categories being an American thing. Indeed we may blame the census responsible for this whole debate! While Filipinos in the Philippines may not ponder of such categorizations to the extent that their identity-searching 2nd gen Fil-Amers do, I think that the 2nd gen Fil-Amers provide an opportunity for new perspectives into race, region, and identity - issues that often only become salient when viewed under alternative contexts, such as being a Filipino in America. But to the point: As an Asian American myself, I have always associated with being Asian. This may sound superficial, but I feel that much of our tacit identity formation is created not by conversation, but rather by our daily actions - what we eat, where we go grocery shopping, the spaces that we occupy. In this regard, I find that Filipinos more often occupy the spaces that are shared by other Asians. Granted this quick comment may seem like I am attributing our brethren's categorization to a grocery store, but I do think that the comforts found in our daily lives can help answer this question. To seal the deal, here's a quote from my mom - something she said a few years back when we were shopping at the local Vietnamese market. At this point in her life, she was getting old, and sometimes said things that were both awkward and keenly aware. "I like this place. It reminds me of Manila." "Mom. We're in a market full of Vietnamese people. In a strip mall in Houston"
"Yes. But we're all small, and brown and it smells like rice." I loved this post! 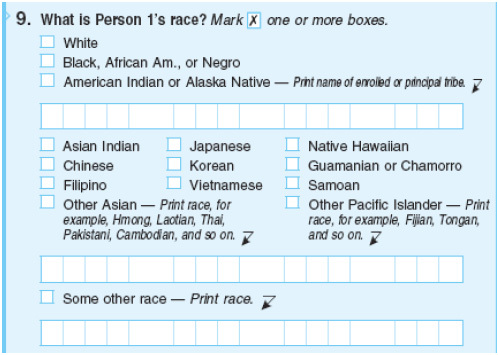 When I see it on paper, I tend to think of myself as Pacific Islander, but ask me in person and I'll stop for a second, think about it, then end up saying Asian. Filipinos are Asians. Just check the world map and history. If you need further proof, just google the DNA studies conducted in the past 20 years and the Filipino people share the same DNA with Taiwanese, Japanese, etc. The only reason why Filipinos look "different" compared to stereotypical "Asians" is because the Philippines is a melting pot and many cultures have migrated in the country which resulted to various culutural subgroups and mixed bloodlines. So don't be surprised if some look Indian, some Chinese, some Arabian, some even look white, etc. Filipinos are Isalnders! I'm not slanted eyed. You brought up a very important point that the divisions of continents and races were based upon Eurocentric perspective, and it wasn't the Philippines, nor the Chinese, Indians, Indonesians, Yemenis, Israelis or Turks who determined that they were Asians. It got imposed by them by Europeans who also decided that they would deserve a separate continent in spite of geographical facts not supporting any true division of Eurasia into different continents. In fact, South Asia, which is sometimes called a "subcontinent" would have more reasons to be designated as a separate continent. But I'm aware that that's not the main subject of this post. I've also been sharing your view that Philippines can be both Pacific Islanders and Asian. I kept on asking why is it that some people insist on "either X or Y" when in fact many of us are "X and Y". Linguistically and phenotypically Philippines belong to a large contiguous Austronesian family stretching from Madagascar to Rapa Nui to NZ to Taiwan, yet following our modern Eurocentric science, which I'm not deeming as not valid, this family is divided into three different continents. So yeah, Philippines are Pacific Islander as well as Asian, because Europeans decided that the islands are to be apportioned to the (half)continent Asia, which itself was also a European concept. It is very unfortunate that the "Land of the Liberty" has a need to label all there people into certain ethnic categories. During my travels all around the world people of other countries cannot understand why when people from the USA are approached with a question like "Are you American?" people from the USA get confused and answer with something that is long and drawn out. What is so wrong with just saying for a person from the USA to say that they are American? Everyone all over the world knows that most Americans are or were imports at sometime or another, that includes the Native Americans, Alaskan Natives, and even Native Hawaiians. Regarding "are Filipinos considered Asians or Pacific Islanders?" ... Hmmm ... The Philippine Archipelago is not part of Asia or Southeast Asia. The Philippine Archipelago is a part of the larger archipelago known as the Malay Archipelago which exists between Southeast Asia and Australia. People of the Malay Archipelago have more in common with of the people of the Pacific Islands except for the islands that are part of New Guinea. Filipinos are are not Asian as the commonalities between Asians (including Southeast Asians) are very few. Scientist have determined that it was the peoples of the Malay Archipelago that migrated and populated the islands of the Pacific including such places as Hawaii, Easter Island and even New Zealand. Peoples Polynesia are decendant of the peoples of the Malay Archipelago. so no for a Filipino to list themselves as a Pacific Islander is not lame but rather scientifically and even politically correct. Filipinos are categorized as Asians and the Philippines as part of South-east Asia. But describing Filipinos as Pacific Islanders isn’t necessarily wrong either. In fact, for a long time, Filipinos were known as Pacific Islanders. They might well have been referring to the geographical distance of the country from mainland Asia. Composed of more than 7000 islands, the Philippine archipelagic state was a political creation of Western colonizers. It was Spain during the 16th century that united the major islands of the Philippines—if it hadn’t occupied the islands, the Philippine nation state wouldn’t have existed. My parents (and relatives) always referred to us (Filipinos) as Pacific Islanders and I am teaching my kids the same thing. All my life that is what I have referred to. I am full blooded Ilocano and our language is closely related to the Hawaiian, Fijian, Samoan, Maori, Tahitian, and Chamorro language. My family traits resemble more of the Pacific Islander look than the Asian look so I can't say that I relate more to Asians besides eating rice which other islanders eat as well. Either way, Ilocanos come from the Austronesian stock and nesia means islands so Pacific Islander or not, filipinos are still Islander. Mabuhay Pinoy! A black person and a white person are both living in the US. Does this mean one is "American" and the other one must not be? No...just because they are different, doesn't mean they are not both American. A Filipino and a Japanese are both encompassed within the Asian continent. Does this mean one is truly "Asian" and the other is not? No....just because they are different, doesn't mean they are not both Asian. This debate would become clearer if Filipinos could try to understand that "Asia" is a geographic term, not a cultural or a scientific term. Just because our skin tone, height, religion, etc. may be different from some other Asians, doesn't make us any "less" Asian than them. Yes, Malay is an ethnic subgroup. But Japanese is also an ethnic subgroup. Tibetans as well. All these groups are different from each other. 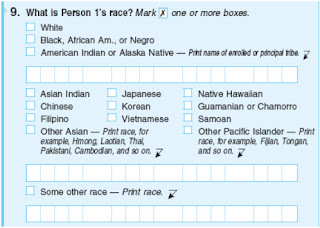 The short answer is if you are from Micronesia, Polynesia or Melanesia, you are by definition a Pacific Islander. If you are from Brunei, Philippines, East Timor, Indonesia, Singapore or Malaysia which are in the maritime Southeast Asia, you are Asian. Filipinos are Asians. It has nothing to do with the shape of your eyes or color of your skin or your affiliation to a culture. Yes it's geographic. I was born in the Philippine Islands and proud of my heritage. I'm an Islander and Filipino by birth. So I am a Filipino Islander. Just because PI is in Southeast Asia doesnt't make me Asian. Never considered myself Asian and never will. I agree with Anonymous' post on Aug 1, 2012. I, too, am Ilokano and find my roots through the Austronesian people. Maybe other Filipinos with closer ties to the Asian culture believe to be Asians but not so, in my case. Filipino = Islander....end of story! I ain't asian. i'm Filipino born in philippines and my family moved to america when i was 15 and we are southeast asians. We look like our southeast asian neighbors. I had alot of friends from Malaysia, indonesia, thailand, cambodia .. and back when i lived in the philippines I would show them pictures of my friends from those other southeast asian countries and they thought they were Filipinos but no they are from other countries in southeast asia.Like other ASEAN countries we were colonized by the europeans. Malaysia was colonized by Great Britian. Indonesia by the Dutch, Vietnam by the French, Philippines by the Spanish etc.. Our language is part of the same language family as the Malaysian and Indonesian languages and also the language of Madagascar. Its also said to be that descendents from Madagascar were from Indonesia. and for your information.. the eastern Island of Indonesia is actually considered by some geographers to be part of the pacific islands. Like other southeast asian countries there are numerous filipinos who have distant Chinese blood... many malaysians, indonesians, Thai, vietnamese, also have some distant chinese blood. Like other southeat asian countries Philippines used to have their own alphabet... but it is long forgotten due to colonization. Philippines also has a larger eurasian population than the other southeast asian countries. In which i wish my country wasnt so heavily infulenced by the western world.... then we could have retained some of our own culture and last names (i hate spanish last names) btw my surname isn't spanish :P We are southeast asians! and i am a Filipino from the philippines but moved to usa when i was 15 and people in america always mistake me for being Thai or another asian ethnicity.. also im a Filipino and i have the eye hook or the epicanthic fold and slanted eyes with brown.. and who are americans to tell me that im nnot asian... cuz Im ASIAN not pacific islander or latino... FILIPINOS ARE Southeast ASIAN! and i wish filipino-americans would stop asking americans of any race what we are... if u really want to know ask people who are from and live in asia!!! Filipinos issue with either being Asian or Pacific Islander will never come to an end. In my view, I don't see anything wrong with some pinoys considering themselves Asian and another part considering themselves Pacific Islanders. It all depends on their roots as many pinoys do look more Islander than Asian and vice versa, and who they find more similarities with so for one to say we are this or that, it's not up to us to label that person because of what we believe is right. I've heard of cases where Ilocanos don't consider themselves Filipino and would rather be known as Ilocanos. So, overall. It's up to the person who chooses to lean more towards one ethnic group or the other. In the end, we are all brothers and sisters of the same race. As a Filipino-American, I agree to the fullest that Filipinos are Asians. If Filipinos were to be considered Pacific Islanders then Japanese people would also be considered Pacific Islanders. If Filipinos are not Asian, I ask, why doesn't President Benigo Aquino III opt out of the Association of Southeast Asian Nations. Why does it matter to other people what someone considers themeselves?! they don't know that person's history enough to make that call for them. I'm filipino but if someone wants to be called Asian, let them. If someone wants to be called Pacific Islander, let them! It ain't hurtin' anybody! Asians and Pacific Islanders are all related somehow anyway! One love! Growing up in LA and being classified as an "Asian" (in particular Korean) by my Filipino friends, it is interesting to see how the term "Asian" is changing. Just a few years ago, a numerous amount of Filipino Americans would deny deny deny and do whatever it took to not be classified as Asian, including ridiculing other Asian nationalities. As the time passed, these same people screaming bloody murder about not being Asian suddenly announce they are Asian as popular mainstream media is picking up that not all Asians are categorized as "slanty eyed, short, ugly, nerds". While it is nice that the term "Asian" isn't nearly as horrifying as it was before, I would advise those who hated to be called Asian to stop flip flopping when it is convenient to be "Asian". Suffering together is part of the "fun" of being lumped in racial category. Indigenous Pilipinos are actually Africans who east migrated to the Pacific Islands via Taiwan, Philippines, and Malaya over thousands of years. This ancient migration makes Pilipinos different than Asians. However, ancient Philippines did trade with Chinese, Japanese, and Indian traders. Then we were colonized and our culture was annihilated by Spain. So yes, we are mixed with Asian, Indian, African & Spanish but I am sure Chinese and Japanese would not consider us like them. Our ancient history and languages points to us being more closely related to the other Austronesian peoples of the Pacific Islands. Thus making us Pacific Islanders. I hate it when someone calls me a Pacific Islander . .or even whenever someone asks me if I am. Look I am a Filipino, and I'm really proud to be one. I was born in the Philippines and I was raised in Philippines, growing up in there, and going to school in there we always classified ourselves as Asians not Pacific Islanders although we do have a connection to them. Guys Philippines participates in the South East Asian Games not the South Pacific Games of Oceana, please look in any atlas or geography book in the Asia part .. . Then look in South East Asia . . . . Philippines is in South East Asia not in Oceana nor Micronesia nor Polynesia . .so pls don't tell me that Filipinos are Pacific Islanders. I'm starting to think that Filipinos who think themselves Pacific Islanders are embarassed by who they are or they just don't want to acknowledge it. If they don't then too bad for them, many people from other countries admire Filipinos because of our culture, and we should all be proud of that. I totally agree with you, I hate when people say Philippines is a Asian Island, We dont look Asian but some do. Just because where from Southeast Asia doesnt mean were Asians, Do filipinos look Asian? Exactly! I hate this debate because as a Polynesian I consider Filipinos to be Asian. Period.. Just because we get along doesn't mean we are the same race and culture. There are many huge differences culturally, physically, and geographically. Claim your own. I'm a proud micronesian and I have a lot of proud phillipino friends from guam n hawaii so to hear u mainland phillipinos denying where u from is crazy, anyways, I visited phillipinnes once for palikatan excercise n flying over u guys have a lot of islands then us and what really fucken throw me off is I bumped into this fiji looking guy n i asked him hey bra u moved here? He dont speak english..I swear curly hair n all, our military partners said they're tribe from mount punatuppo sum shi like that anyways...as a micronesian u better damn belief i know my malenesian and polynesian people n that dude is no phillipino hes a polynesian....anyways don't come to guam n hawaii n say u not proud of asia they will look at u wierd. Can someone out there explain what's the name of that tribe lives mount pinotubo that's crazy..
2) I ran into this guy who I thought he's from fiji curly hair, dark skin n all only come to find out he's from a tribe who lives by mount bunatupo volcanoe mountain there. I know my pacific islanders n I swear that tribe u guys have is either fiji or papuan blood line. Lastly, for my polynesians who don't know u guys have 2 polynesian islands in our micronesian island chain called " kapingamarangi " and " Nukuoro ". They don't speak our language, they wear lavalava, and theyre bigger then usual micronesians. My point is were all related some how...as far as who's who, just follow the map to make it easier. Yes this comment is late to the party, but I just got my results back from AncestryDNA and from my "100% percent Filipino" mother I get 33% East Asian (Filipino) and 15% Pacific Islander (yes I know that's 48%, I'm still figuring which of the rest is from mom or dad. I discovered through the site about 25% of Asians have Pacific Islander DNA. Also investigate the Lapita culture that went sailing and mixing thru the Pacific tens of thousand of years ago. There are also ancient sites in Polynesian where domestic chicken bones were found and the dna matched only with domestic chickens in the Philippines. So the answer is not black or white but rather grey! So says this mestisa girl. Thank you ..I've been researching the roots of where the Filipinos actually came from and you hit it on the spot! The original people from the Philippines were not of Asian origin just like Americans are not the original people in the US. Exactly ..people are forgetting the "Asians" is a breed created by interracial relations which made it a melting pot of what everyone is referring to as "slanted eyes". But the "original" Filipinos have no Chinese or Japanese, Cambodian, Thailand etc but of their own close to the Austronesians are the Pacific Islanders. You can't say you don't look like an Asian there is no official look if an Asian and our DNA is more close to Asian countries as to pacific island countries.